Today, 10th May 2013, the combined movements of the Sun, Earth and Moon gave us a very nice Annular Solar Eclipse. Following a similar path to the Total Solar Eclipse we enjoyed last November, the shadow of the Moon over the Earth moved from North Australia to the Pacific. However, today the Moon was close to its maximum distance to the Earth (planets and satellites move following elliptical orbits) and hence its apparent size on the sky was not big enough to completely cover the disc of the Sun. This is indeed the reason the eclipse was an annular solar eclipse. Partial Solar Eclipse from Sydney. 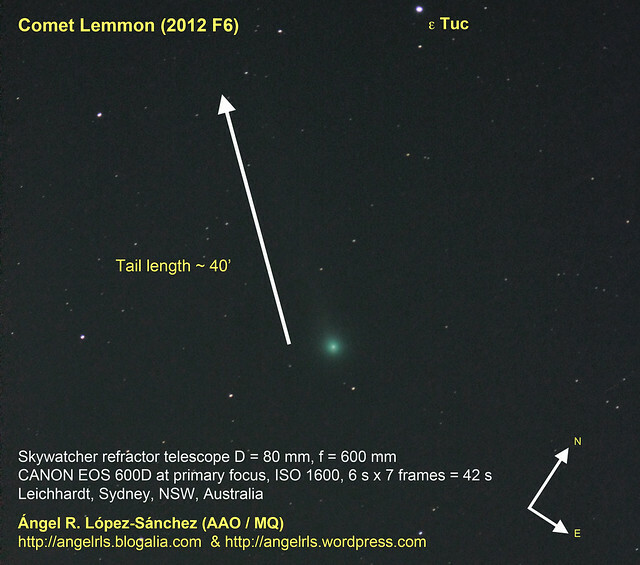 Data obtained using a CANON EOS 600D, a 250mm Tele Lens and a Solar filter (which I hold by hand). I stacked 12 individual frames obtained at ISO 100, f10, 1/80 s using the Lynkeos software. The final processing was achieved using Photoshop. 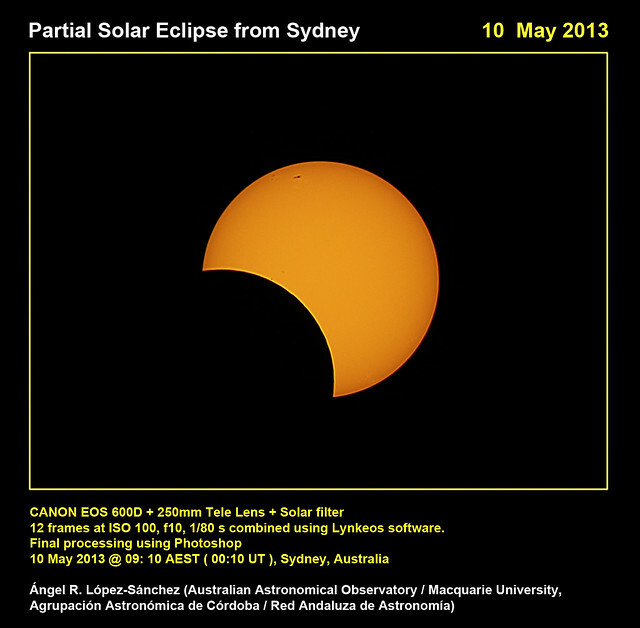 10 May 2013 @ 09: 10 AEST ( 00:10 UT ), Sydney, Australia. 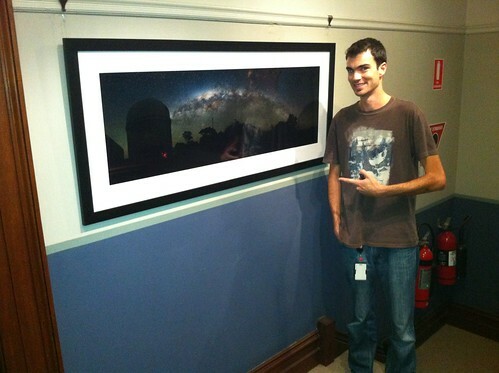 Tonight we’re opening the photo exhibition Stories from Siding Spring Observatory at Sydney Observatory. 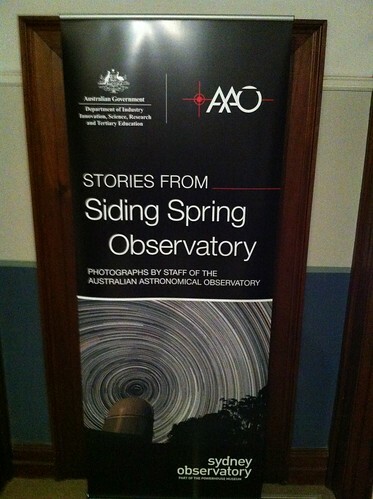 Baner of the Photo Exhibition Stories from Siding Spring Observatory opening tonight at Sydney Observatory. The Exhibition will be opened to the public between 18 April 2013 and 13 August 2013. As the general visit to Sydney Observatory, it is free. This photo exhibition compiles 25 photos plus four time-lapse videos taken at the Siding Spring Observatory by staff of the Australian Astronomical Observatory. I have actively participated in the organization of this photo exhibition, not only providing some photos (see below) but also the 4 time-lapse videos, one of them specifically prepared for this. The idea of organizing the photo exhibition came after the terrible bushfires that destroyed the Warrumbungle National Park and seriously affected Siding Spring Observatory on 13th January 2013. Luckily any telescope experienced any damage and we were back at the telescopes just 1 month after the bushfires. However, some houses and facilities, including the ANU Lodge, were destroyed in the bushfires. The vegetation at the site was also seriously affected, and indeed the views from there are not now as beautiful as they were before. Siding Spring Observatory sits on a mountaintop in the Warrumbungle Range, 400 km northwest of Sydney and 25 km west of the town of Coonabarabran. 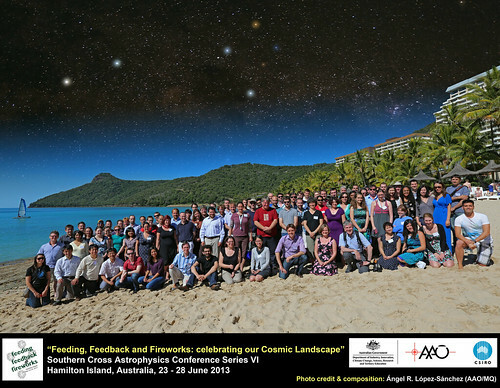 Run by the Australian National University, it is Australia’s most important site for optical astronomy. On 13 January 2013 a bushfire swept through the observatory. Despite damage to some buildings, the telescopes were unharmed and are now back at work. The photos in this exhibition tell stories of life and work on the mountain. 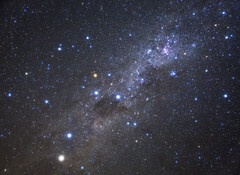 They were taken by staff of the Australian Astronomical Observatory (AAO), which operates two telescopes there: the 4-m Anglo-Australian Telescope (AAT) and the UK Schmidt telescope. Working hard to get all frames and labels done on time! 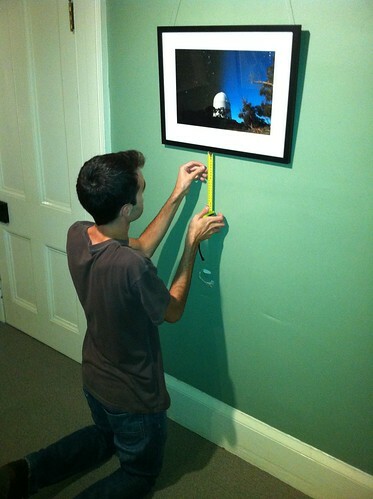 Jamie Gilbert (AAO) carefully hanging label to my photo “Day and Night”. 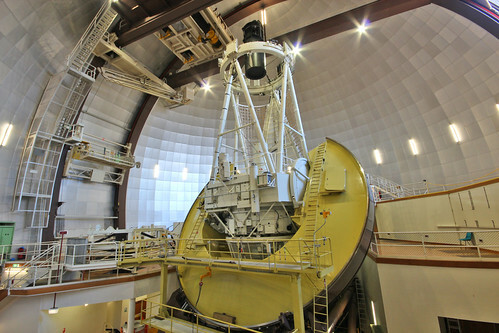 The 3.9m Anglo-Australian Telescope (AAT). The 2dF instrument attached to the primary focus of the AAT. 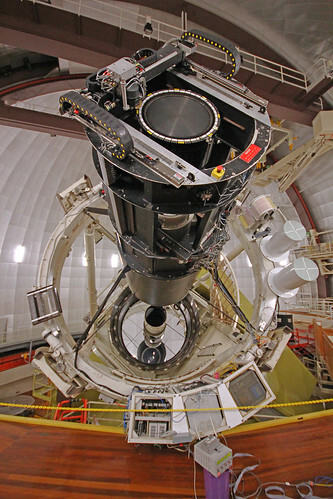 Note that the mirror of the telescope is opened. Day and Night at the AAT. 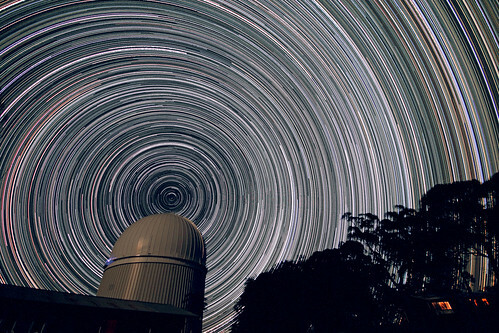 Circumpolar stars over the AAT on a dark winter night. 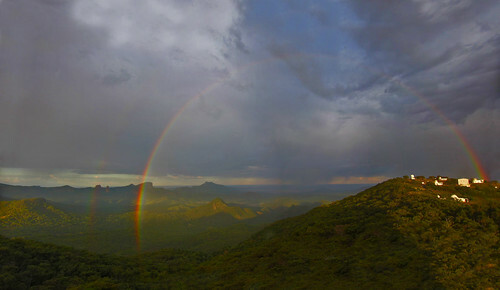 Double Rainbow at the sunrise over the Warrumbungle National Park. 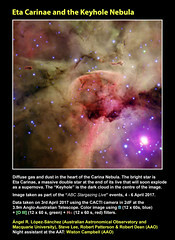 Photos taken from the catwalk of the AAT by Amanda Bauer (AAO) and processed and stitched by me. Credit: Amanda Bauer & Ángel R. López-Sánchez. but you can find many more photos I took at Siding Spring Observatory during the last years in this album of my Flickr. Panorama of the Milky Way over the Anglo-Australian Telescope (AAT) using a CANON 5D Mark III. More information about this image: here. and that is why this photo is the largest one! 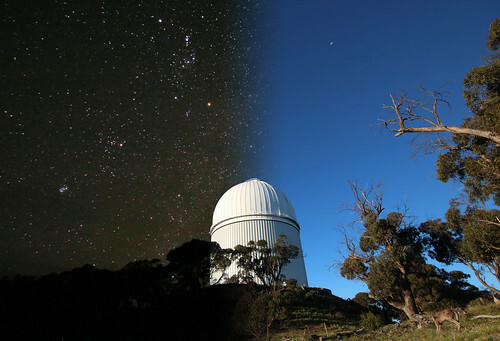 The Photo Exhibition Stories from Siding Spring Observatory is open to the public between 18 April 2013 and 13 August 2013. As the general visit to Sydney Observatory, it is free, so do not miss it if you have a chance! 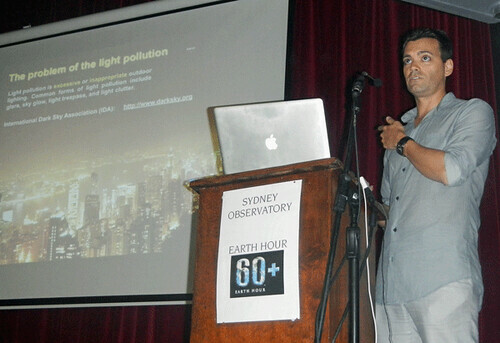 Last 23rd March 2013 I was invited to give a Public Talk at Sydney Observatory because of the Earth Hour 2013. More than 200 people attended this event, I have to say I think it was not because of me but because of the possibility of getting a somewhat darker sky than usual in the city center. Earth Hour is a worldwide event organized by the World Wide Fund for Nature (WWF) that encourages households and businesses to turn off their non-essential lights for one hour. The aim of this is to raise awareness about the need to take action on climate change and, in particular, the problem of the light pollution. 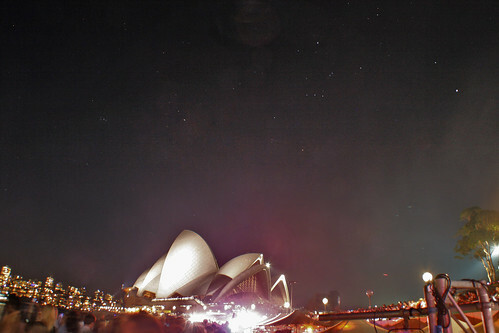 The Earth Hour first took place in 31st March 2007 in Sydney, which has a participation of 2.2 million Sydneysiders. In 2008 many other cities around the world adopted the event, creating a movement in which now participates around 1 billion people in more than 150 countries. 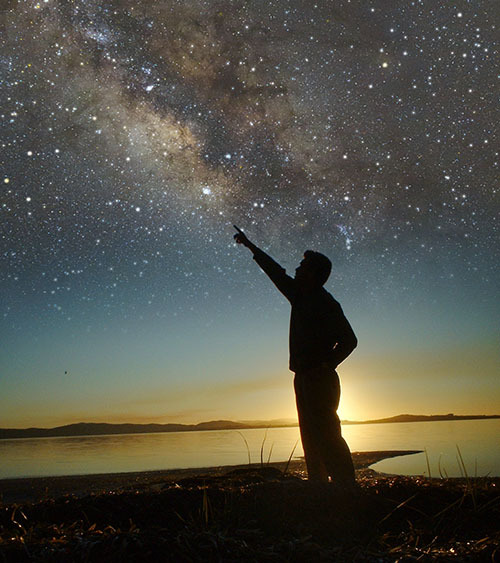 Urban dwellers everywhere are losing the ability to see planets and stars in the night sky. The spectacular view of the Cosmos that has inspired science and art throughout history is disappearing. The glow of uncontrolled outdoor lighting has hidden the stars and changed our perception of the night. Light pollution wastes energy ( = MONEY! ), harms ecosystems, increases greenhouse gasses, threatens astronomical research and affect human health. Better lightning is the solution! The problems from light pollution can be solved by utilizing efficient, modestly bright outdoor lighting fixtures that are directed toward the ground and shielded to control glare. Empire State Building in New York city at night. 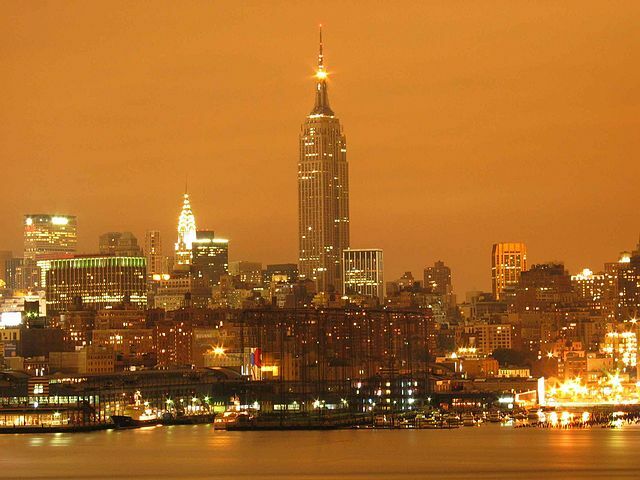 The light pollution is a terrible problem in large cities, giving the sky that orange colour. Sadly, today many children think that this is the real color of the night sky. Picture taken in October 2004. In Australia, public lighting is the single largest source of local government’s greenhouse gas emissions, typically accounting for 30 to 50% of their CO2 emissions. There are 1.94 million public lights — one for every 10 Australians — that annually cost A$210 million, use 1,035 GWh of electricity and are responsible for 1.15 million tonnes of CO2 emissions. 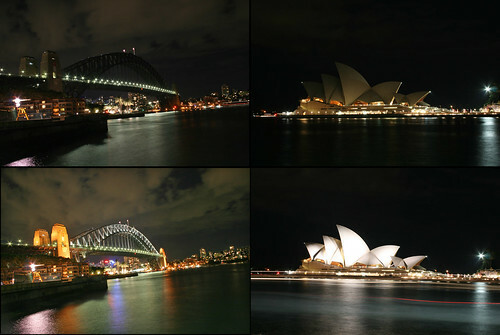 Photos comparing the vision of the Sydney Harbour Bridge and the Sydney Opera House during the Earth Hour on 28th March 2003 (top row) and after that event (bottom row). All 4 images were taken from the same place using a camera CANON EOS 400D, 400 ISO, f10 and 20 seconds exposure. The decreasing of the light pollution (seen specially well in the clouds) is quite evident. Vision of the Sydney Opera House from the Opera Bar on the 2011 New Year Eve. 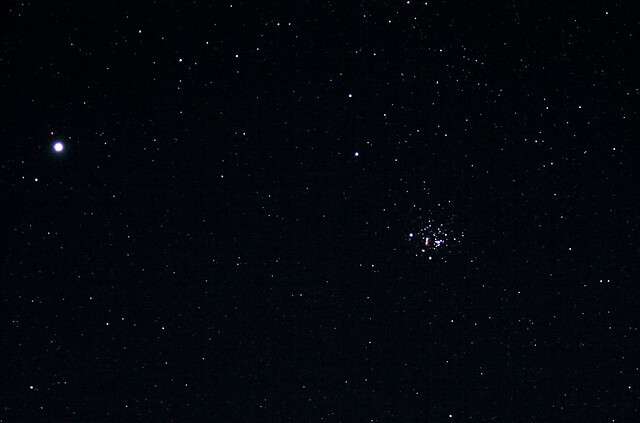 It is just a 10 seconds exposure at f6.3 and 400 ISO using a CANON EOS 400D camera. The main stars of the Orion and Taurus (The Bull) constellations are clearly seen, as well as the Pleiades and even the Orion Nebula as a diffuse dot! 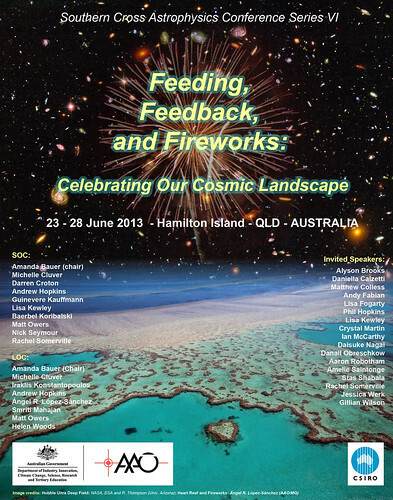 After discussing the light pollution, its effects and some projects aimed to reduce it, I used the second half of my time to talk about my research at the Australian Astronomical Observatory / Macquarie University. I explained what an astronomer usually does, where the Siding Spring Observatory is, and presented some results of my own research about star-formation in galaxies. A moment during my Public Talk at Sydney Observatory on 23rd March 2013 just before the Earth Hour. I was explaining here the problem of the light pollution, although later I talked about my research and work at the Australian Astronomical Observatory and Macquarie University. 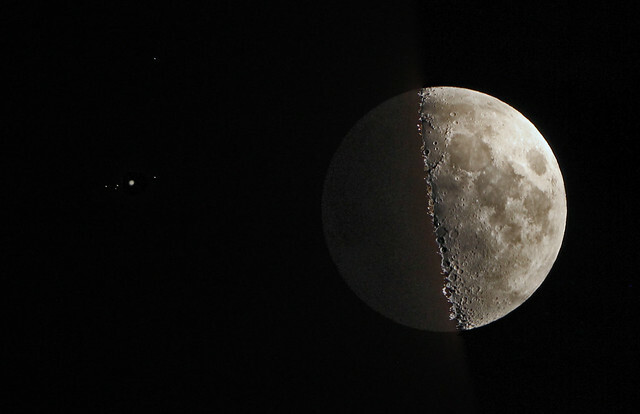 Credit: Jeanette Landstedt (Sydney Observatory). After the talk the participants enjoyed some stargazing using the amateur telescopes provided by the Sydney Observatory. I was among them and couldn’t stop talking to one and another group, as I was still being asked about what I said during my talk. 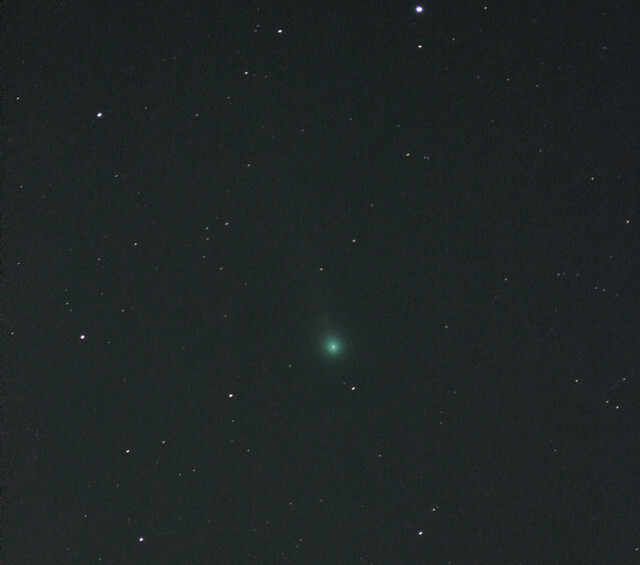 It was great to be able to do this in the very relaxing atmosphere of an amateur observation. The only bad thing was that there was still a lot of light coming from the Moon, indeed, choosing the weekend before Easter for the Earth Hour was not good as it was not possible to really check the actual difference induced by the deficit of illumination in the sky. Next Friday 8th March 2013, at 6:30 pm, I’m giving a Public Lecture at the School of Physics of the University of New South Wales (UNSW), Sydney. I’m presenting an updated version of my nice talk Surprises of the Cosmos which I prepared in 2009 because of the Photo Exhibition co-organized between the Instituto Cervantes (Spain) and the Canary Islands Astrophysical Institute (IAC, Instituto de Astrofísica de Canarias, Spain) in 2009 because of the International Year of Astronomy. I participated in this exhibition and later I have given same talks here in Australia (Sydney, Melbourne and Canberra) publicizing it. 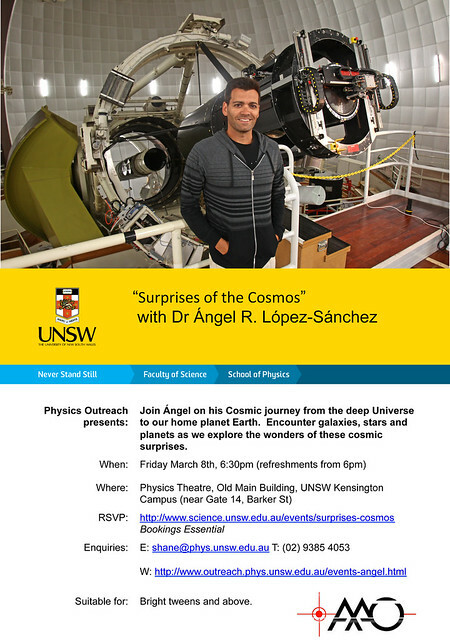 Flyer of the Public Talk “Surprises of the Cosmos” which I will give next Friday 8th March 2013 at the School of Physics of the University of New South Wales (UNSW), Sydney Credit: UNSW / Angel R. López-Sánchez. 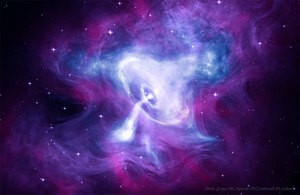 In this talk I imagine we are far, far away from the Earth and take a journey from the deep Universe to our home planet. Our travel will start far away from the Earth, in galaxy clusters containing tens of thousands of galaxies and located more than 10 billion light years from us. We will see how galaxies formed and how we think our Milky Way and it’s neighbours have evolved in time. Once in our Galaxy we will have a look to some remarkable objects: star-forming regions, star clusters and nebulae that are the remnants of dead stars. Finally, we will reach the Solar System and have a look to the planets and the dwarf planets that orbit the Sun. We will also visit comets and asteroids, explain their origin and emphasis how the study of such bodies allow scientist to get a better understanding in the formation of the Sun and the planets around 4.7 billion years ago. 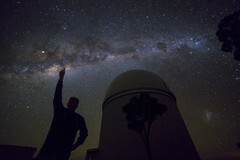 We will finish the journey in our planet visiting some of the most important astronomical observatories of the Earth. You can see all the images of this exhibition with the text in Spanish in this link. Finally, I want to thank PhD student Vicki Lowe for inviting me to give this talk.